Ang artikulo ni “Antonio Ebangelista” na may pamagat na “BRO. JUN SANTOS: ‘OH WE BOUGHT THIS, WE BOUGHT THAT’ -- THIS IS WHAT HE IS NOT SAYING: ‘WE ARE SELLING THIS, WE ARE SELLING THAT’” na inilathala niya sa kaniyang blog noong June 8, 2015 ay SINAGOT ni Pristine Truth sa mismong araw ding iyon (June 8, 2015) na may pamagat namang “SOME PROPERTIES OF THE CHURCH WERE SOLD! SO WHAT?” Dito ay nagbigay si Pristine Truth ng pitong (7) argumento na hinamon niya si “AE” na sagutin. SUBALIT, sa halip na sagutin, noong June 12, 2015, ay naglathala si “AE” ng artikulo na ang tinatalakay lamang ay ang ukol sa INC property sa Tagaytay. Taliwas sa inaasahan ni “AE”m ang kaniyang artikulong ito ay hindi nagpapabulaan sa ipinuntos ni Pristine Truth, kundi LALO PANG NAGPAPATUNAY NA ANG IPINUNTOS NI PRISTINE TRUTH ay pawang katotohanan. Tunghayan natin ang artikulo ni Pristine Truth na inilathala noon ding araw na iyon (June 12, 2015). Those opposing the Church Administration instead of answering these points we emphasized in our previous article refuting their accusations against the Church Administration as what we challenge him to do so, they publishing another article entitled “INC PRIME PROPERTY: SOLD! – PART 1” (June 12, 2015) which they only featured one of the “properties” of the Church that been sold. They even included pictures of the said property. However, did this article succeed in proving that there are indeed anomalies inside the Church? NO. What THIS ARTICLE HAS DONE IS CONFIRMING THAT WHAT WE SAY IS TRUE. or the Church has no longer use for it." (1) The said property is not a place of worship, and no district or locale was using it. Thus, this INC property in Tagaytay fatured by Antonio Ebangelista is a “rest house” for the Executive Minister. Thus, the present Executive Minister has all the discretion to use it or not, and if he thinks he doesn't need it, he has all the discretion to disposed of it. (2) Antonio Ebangelista's statement regarding this property confirmed that this property was the property of the Church – owned by the Church and not by any individual or family.Thus, if the said property is owned by the Church, not by an individual or a family, there is no anomaly if the Church sell it because the Church had all the legal right to dispose all properties not needed or has longer use for it. And because it is owned by the Church, no individual or family can oppose the selling of this property. (3) They also confirmed those property being sold the Church has no longer use for it or it. In saying that this "rest house" is now “a ghost town of useless abandonment,” proves that it is no longer practical to maintain it. Antonio Ebangelista said in the first part of his article that this property is a “once-a-tranquil-haven for Ka Eraño G. Manalo and HIS WHOLE FAMILY.” So when he accused the Sangguinian of making a futile attempt “TO BLINDSIDE THE EXECUTIVE MINISTER” it seems that the present Executive minister doesn’t know the existence of this rest house which “once-a-tranquil-haven for Ka Eraño G. Manalo and HIS WHOLE FAMILY.” It seems that Antonio Ebangelista doesn’t know that the present Executive Minister is a member of the family of Brother Eraño G. Manalo? Because Brother Eduardo V. Manalo, the present Executive Minister, is the first-born son of the past Executive Minister, he indeed knew the existence of this property. SO, IF KA EDUARDO KNEW THE EXISTENCE OF THIS PROPERTY (AND SURELY HE WENT THERE FOR NUMEROUS TIMES), CAN THE SANGGUNIAN SELL IT IN SECRET (AS ANTONIO EBANGELISTA CLAIMS)? And how about the fact that the law states that the administration of the Church’s property (the purchase, mortgage, and selling) is in the hands of the Exeutive Minister as the “corporation sole”? Thus, this property was not secretly sold as those opposing the Church Administration claim. Presently, the Church is maintaining a museum housing all the memorabilia of Bother Erano G. Manalo. It even includes a video of Ka Erdy. And as of today, the New Museum is under construction, and a large part of it is dedicated for the memory of Ka Erdy. Please ponder this: If “the Sanggunian’s unrelenting determination of annihilation towards anything and everything related to the memory of Bro. Eraño G. Manalo” why a large part of our Museum dedicated in memory of Brother Erano G. Manalo? Why a coffee table book about Ka Erdy? Why every locale still has a picture of Ka Erdy hanging in their “receiving area”? “The Sanggunian’s unrelenting determination of annihilation towards anything and everything related to the memory of Bro. Eraño G. Manalo”? WHAT A BIG LIE!!! Should we maintain properties no longer needed? 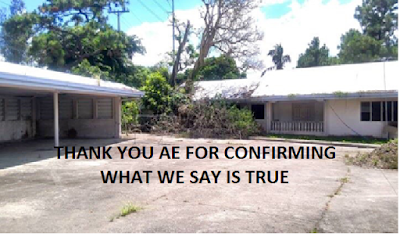 The very fact that those opposing the Church Administration themselves confirmed that the said property is now “a ghost town of useless abandonment” confirmed that the said "rest house" is no longer needed and no longer used by the present Executive Minister. SO WHY MAINTAIN IT? It is like those “mehoras” of a certain locale or district that if they are no longer needed these “mehoras” will be sold or be disposed (surely in accordance with the Church’s regulations). For example, if a new House of Worship was built, the old House of Worship if it is no longer needed will be scraped and be sold. If a locale or a district sold “mehoras” no longer needed, does this follow that the locale or district is in debt? Non-sequitur my friend, non-sequitur. NOT BECAUSE THE CHURCH SOLD PROPERTIES NO LONGER NEEDED IT FOLLOWS THAT THE CHURCH IS IN DEBT. There are BIG EXPENSES in maintaining “prime properties” including real state tax. We all know that taxes paid for “prime properties” are not just a small amount of money. In maintaining such properties, where are we going to get the “large amount of money” to pay for the necessary taxes? SA ABULOY NG MGA KAPATID? Another expenses in maintaining such “prime properties” are the maintenance and security. Antonio Ebangelista himself confirmed that there are “men and women” who used to manage and care for this property. In maintaining those properties, how are we going to pay for the wages of these men and women who will manage and care for this properties? SA ABULOY NG MGA KAPATID KUKUNIN? How about the expenses for the maintenance of the physical structure of the buildings? How about the expenses for the electricity and water? How about the wages of the security guards? SA ABULOY NG MGA KAPATID KUKUNIN? Thus, maintaining a “prime property” will require a lot of expenses, so much more with maintaining five, ten, twenty prime properties? Where are you going to get the money to pay for the expenses in maintainning those properties? SA ABULOY NG MGA KAPATID? Napakalaki ng gastusin sa pag-maintain ng mga “prime properties” na ito. Gaya rin ng sinasabi rin ninyo, ang mga kapatid na ito ay halos wala nang makain, hirap lang sa buhay, minsan ay naglalakad na lamang upang ang ipapamasahe patungo sa kapilya ay ipanghahandog na lamang. 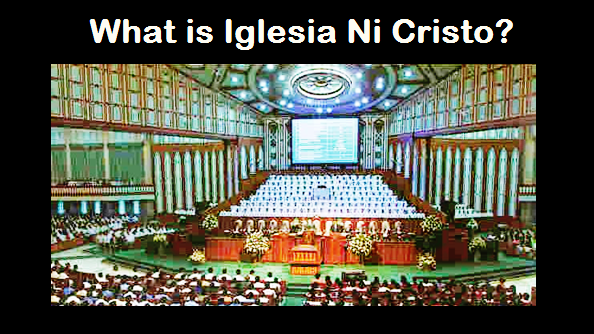 Ngayon G. Antonio Ebangelista, sinasabi mo na mali na ang mga properties na ito ay ibenta ng Iglesia? At lumalabas na para sa iyo at sa mga kasama mo ang tama ay kahit gumastos tayo ng malaking halaga ng pera na mula sa abuloy ng mga kapatid basta mapanatili lamang ang mga ito? Lumalabas na talaga ang tunay na kulay mo Antonio Ebanghelista na HINDI ang kapakanan ng Iglesia ang ipinaglalaban mo kundi ang kapanakanan ng mga taong nasa likod mo. Samakatuwid, ang pagbebentang ito ng mga ari-arian ng Iglesia ay hindi nagpapatunay na may kurapsiyon, katiwalian o anomalya sa pananalapi ng Iglesia, KUNDI matibay na katunayan kung papaaanong sinisinop na mabuti ng Pamamahala ang abuloy o handog ng mga kapatid. Thus, the selling of these properties doesn’t prove that there are corruption and anomaly inside the Church today, but instead proving how transparent and how efficient the Church Administration in managing the finances of the Church. REMEMBER, IN EXPOSING THE SELLING OF THE INC TAGAYTAY PROPERTY, YOU ONLY CONFIRMED THAT WHAT WE POINTED OUT ARE ALL TRUE. 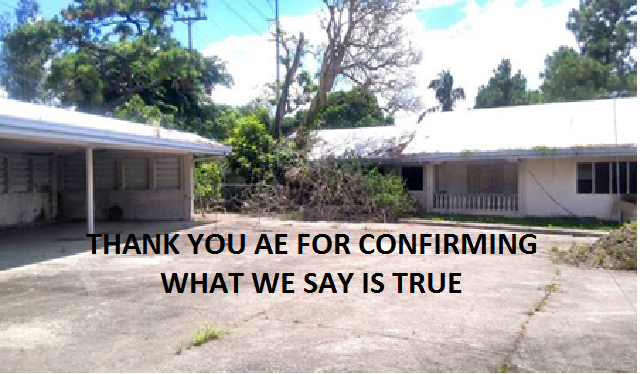 THUS, IN EXPOSING ONE BY ONE ALL THE PROPERTIES THAT BEEN SOLD, WE THANK YOU AE FOR MORE CONFIRMATION OF WHAT WE SAY IS TRUE!